Here's where we keep track of everything that's happened over the past week in the world of pies. And wow, what a week. Never a dull moment! There's a mystery brewing at Whitley Bay Football Club, near Newcastle, as half-time pies have inexplicably disappeared from the menu. As the News Guardian reports, the disappearance of the pies is a "major and seismic catastrophe" since meat pie doused with tomato sauce and a hot Bovril are "essential half-time supports." The author calls for a return of the pies, warning that a failure to restore supply might mean Whitley Bay FC "never make Wembley again." There might be something super special happening next week to do with Pierate. We're keeping it a bit under wraps because, frankly, we can't quite believe it's happening ourselves and we don't want to jinx it. I can say though that we've been working extremely hard on Pierate over the past 5 years (believe it or not, eating and reviewing over 440 pies is actually quite a lot of work, especially when it's just a hobby! ), so if next week does materialise then we can truly say the effort has all been worth it. Stay tuned! There's not a lot more to add to that, really! But it does mean the Brownlee Brothers have made it into our "Celebrity Pie Quest" article, alongside Barack Obama and many others! It's apparently that time of year again. The Daily Mail reports that mince pies have hit the shelves of Co-op with 12 weeks still to go before Christmas and we've spotted them in a number of other stores! 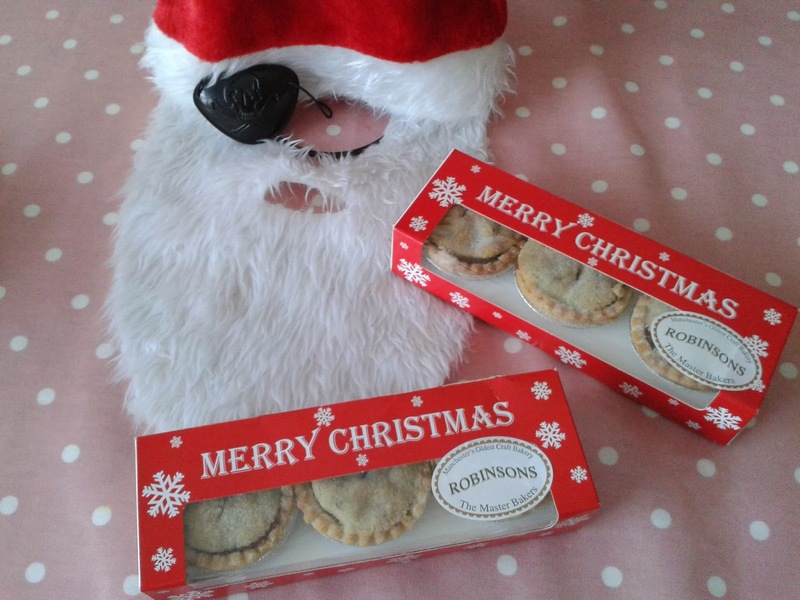 Is it too early for mince pies, do you think? Is it ever too early? Make sure you click to see all of our mince pie rankings. We'll be doing more mince pie reviews this year, but to whet your appetite why not watch our "12 Pies of Christmas" music video from last year?! Today, Friday 3rd October, is both Buy British Day AND World Smile Day! Of course, what could make you smile more than eating a delicious pie?! And pies are so brilliant that we need a whole British Pie WEEK!